Handmade in England by G.Ryder & Co. from the finest quality archival papers and boards. These boxes are made to the highest standard in materials and construction and are the first choice for leading galleries and museums worldwide. The Portfolio box is widely accepted as the best method for storing prints from 8x10 through to 20x24. Acid and lignin free and complying with Photo Activity Test (PAT) ISO 18916, these boxes are designed to protect your photographs, art and documents for a lifetime. 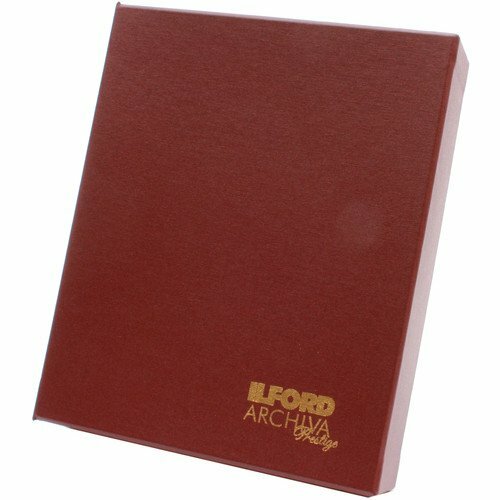 If you have any questions about this product by Ilford Archiva Prestige, contact us by completing and submitting the form below. If you are looking for a specif part number, please include it with your message.